Now that Valentine's Day is past, I thought I would share this winter project before this winter is over. I offered my daughter the choice of a few different winter crafts, and she opted to do the name snowman. Again. 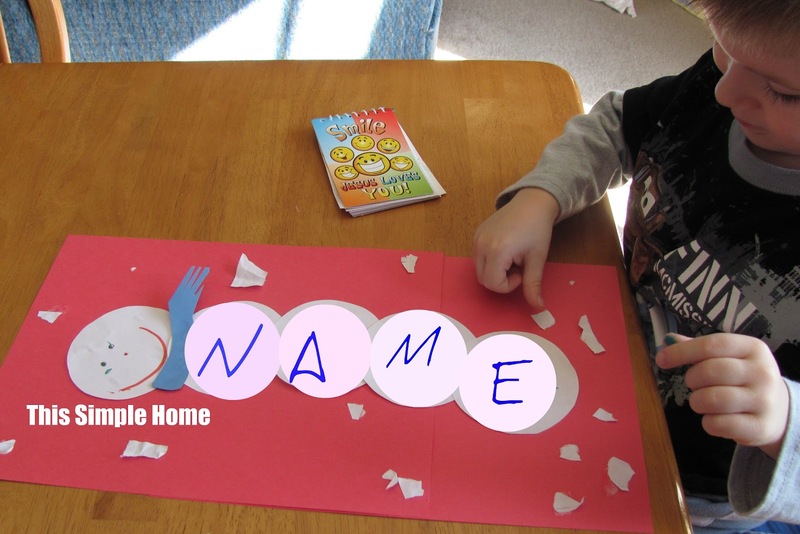 Write one letter of name on each circle and make a face from one circle. 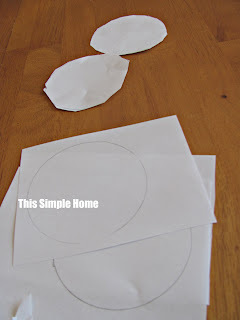 Arrange and glue on paper with "face" circle at the top. Add hat, mitten, scarf, and scarf, if desired. Use scraps to make "snow." Hang in a prominent place to show off! (Photo below is on the refrigerator, but we prefer the back of the front door so our visitors can enjoy them. 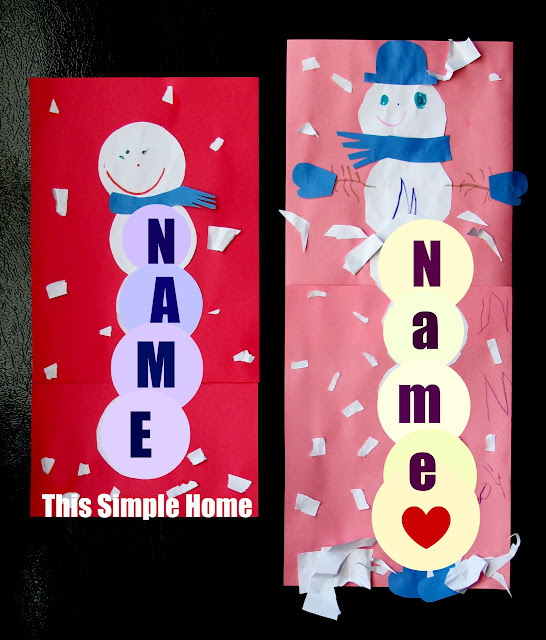 If you like this craft, be sure to explore our other children's crafts! I'm linking up to ABC and 123 Show and Tell , Red Ted Art Kids Get Crafty, It’s Playtime at Quirky Momma , TGIF Linky Party, PreschoolCorner 5&up, Play Academy, and No Time for Flashcards. 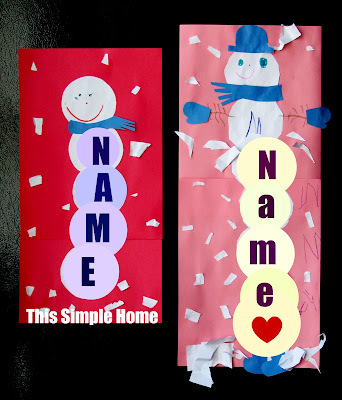 This is an adorable craft. Thanks for posting. 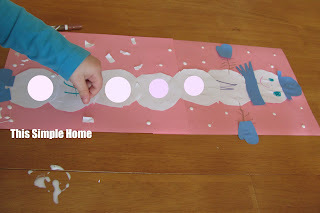 I will be spending time with one of my younger nieces this weekend and I will pull out the supplies to make this and the book worm too. Although we will have to cut out our circles as I don't have a hole punch. Well, I am not surprised she wants to do it AGAIN! 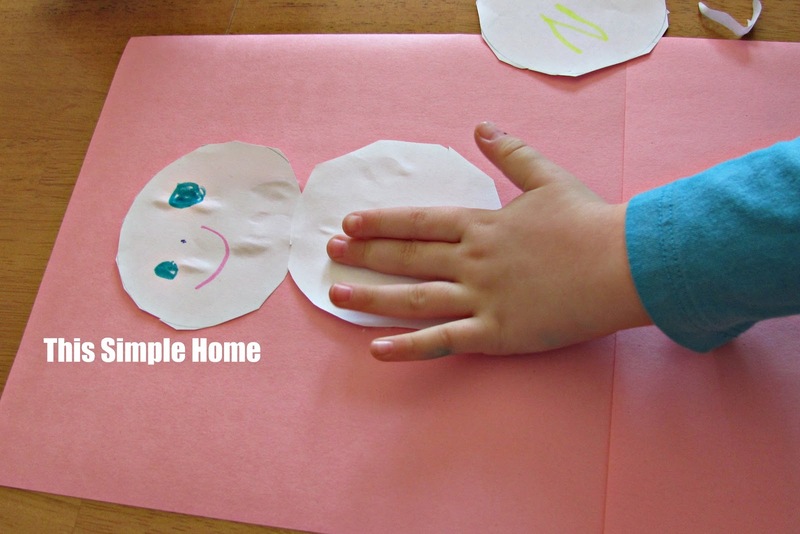 It is soooo cute and a lovely way to practice your letters. Adorable!